The lawsuit by Paul Walker’s daughter against Porsche over its role in the actor’s 2013 death was the latest in a decades-long battle between the German sports car maker and U.S. lawyers claiming its vehicles can be too dangerous for many drivers—and who’ve had some success in getting American juries to agree. In 1980, Cynthia Files borrowed her husband’s Porsche 930 Turbo. Driving home after work, with her boss Donald Fresh in the passenger seat, she hit the gas at a stoplight—perhaps to showcase the machine’s notorious power. The speed limit was 25 mph on this particular street in La Jolla, Calif., but within seconds, Files was approaching 60 mph. Caught off guard by how violently the turbos kicked in, Files panicked and touched the brakes, just as she was entering a bend. The heavy tail of the rear-engined 930, a car known for its unruly behavior, swung around like a pendulum, sending her and her boss into oncoming traffic. Files, who had been drinking, survived mostly unharmed. Fresh, however, did not. This, according to Craig McClellan, a personal injury lawyer out of San Diego, was the case that birthed a successful career representing individuals against automakers. McClellan and his clients, Fresh’s widow and two children, sued Porsche for wrongful death, contending the car was inherently dangerous for the average, untrained driver. Despite Files driving intoxicated and recklessly, McClellan won the case, with the jury ordering Porsche to pay $2.5 million in damages. The verdict was later appealed, but once again upheld. And despite Files’ wrongdoings, and the fact Fresh’s family sued her too, the jury decided she was not to blame. A few years later, McClellan won another wrongful death claim against Porsche and its 911 Turbo. “If an automaker knowingly does not use the technology it has available — something that may be standard on many other cars, especially when it relates to high performance vehicles — then that automaker should be liable in any injuries or deaths that occur due to this oversight,” says McClellan. 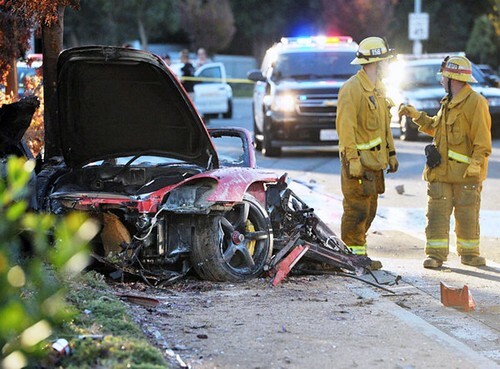 Meadow Walker, the 16-year-old daughter of Paul Walker, mirrors those claims in her lawsuit alleging her father would still be alive if the Porsche Carrera GT he was riding passenger in — when amateur race car driver Roger Rodas crashed heavily into a light pole and tree, splitting the machine in half before it burst into flames — was equipped with better safety features, such as stability control. Next Murder by Prescription: Is It the Doctor’s Fault When a Patient Overdoses?